Last Thursday something happened and I had a smile on my face all day long! I couldn’t put my finger on exactly what had provoked such glee but on thinking about it, a few things fell into place. A lot of it had to do with comments from you lot actually! Having a bit of a melancholic moment last week, I decided not to dwell on what I don’t have, but think about the positive things in my life. Being kinda cynical by nature, I was pleasantly surprised at the response to my list of proud, especially those of you who thought about making your own list. Then, in the depths of writer’s block due to a yucky cold, all I wanted was to feel better and so I ended up making a list of things that I thought would make me feel better. This definitely worked and just putting that list together made me feel better! How great that you lot agreed that a good daydream works wonders! Then I was meeting friends in HQ for the first time in ages. I walked in smiling, so happy to see everyone, I spent the night smiling and laughing cos I was in such a good mood and during the night I could see my and others’ jovial moods spreading throughout the pub. Smiling is so infectious and it’s so much better than frowning. I met plenty of people that night and each time I was asked how I was, I replied that I ‘Was great! Really great!’, that I ‘Was in such a good mood’. Now, I still couldn’t put my finger on what had caused this seismic shift in my disposition but I wasn’t knocking it! There was much mirth and amusement. Oh there was alcohol too, but the smiling was far more potent. The only low point was when someone insisted on telling me, ‘Just in case I didn’t know’ that my ex of 6 months had cheated on me when we were together. Now, I’m not sure if it’s a Karma thing, but as I tried to hold it together outside having a much needed cigarette, I got chatted up by a very nice guy who ended up walking me home – that was exactly what my ego needed at the time. This entry was posted in The Glitter Files. Bookmark the permalink. OMG that is so true! I often find myself drivign along thinking about things and just being miserable. And my inner twin says oh for god sake, stop being miserable. so i smile 🙂 and it actually makes u instantly seem better! for defo, then someone else in another car sees u smiling 🙂 and they smile back :). its infectious for sure 🙂 !!! Glad 2hear TDH is continuing 2make u smile!!! 🙂 Happy monday!! wohoo. love the post. 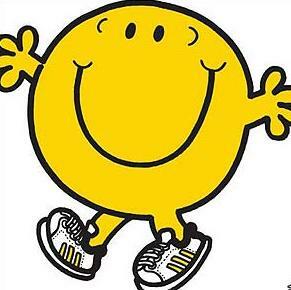 can’t wait to hear more about Mr Happy. Glad the night ended well for ya Glitter. I hate when you hear something awful like that – true or not true. hehe.. you obviously agree that smiling is soo much better than frowning! and becks – both what was said to me, true or not and that guy are firmly in the past.. next! Could be that my poor face might crack!